The more you practice, the better you will become. The better you become, the more you will enjoy playing. The more you enjoy playing, the more you will practice. And the more you practice, the better you will become. Home practice is essential for any piano student. Without daily practice, all that will be accomplished is frustration for the student and annoyance for the teacher. Acquiring musical performance skills is one learning area where the student must teach himself as much as the piano teacher teaches him. This self-teaching takes place during daily practice. Ultimately, daily practice is the mutual responsibility of the parent and student. If the student fails to practice, then the parent fails to live up to that responsibility as well as the student. A successful piano student rarely exists without a parent's involvement in encouraging the student to practice every day. It is a rare child who practices without parental supervision. Please do not think that only "good" children practice without prompting from parents. 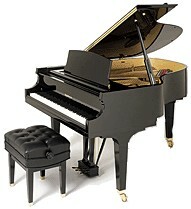 Learning complex musical skills is exhausting physically and mentally if piano study is viewed seriously as an activity. The ultimate goal of piano lessons is to make your child a competent, independent music reader at the piano. It is a fact that most pianists play from memory. But the act of reading musical notation refreshes memory, and it is essential to maintaining an accurate performance of any piece. Inside the mind, pieces will fade away, even with regular practice, unless the student goes back to the score and plays it note for note without relying on memory. Practicing from memory alone will result in an inaccurate musical performance, and parents are asked to stop the student when memory-only practice becomes prolonged. Without reading reinforcement of memorization, students gradually make mistakes. Reading from the music itself positively reinforces accurate memorization, and only in this way can a piece be maintained for a prolonged period free from errors. There really is no "trick" to musical memory; it simply requires constant reinforcing through score reading, and once dropped from regular performance, a piece must be re-learned with the score. All musicians learn and re-learn music throughout the years. But in a second learning, a piece generally "comes back" quickly to the mind. Students who practice at the same time each day usually make better progress than those who use a "catch-as-catch-can" approach. The obvious danger of the "catch method" is that piano practice can easily become a low priority item placed at the end of a busy day of school, homework, and extracurricular activities. The student is then too tired to accomplish much, if anything. If practice is to become part of daily life, then it must be given an assigned time in the daily schedule. Just as there is a time to go to bed, a time to get up, and a time to go to school, there should also be a time to practice! The student's concentration when practicing will be better and more productive if the piano room is free from interruptions by other family members. If the student is to respect the daily practice time, so must the rest of the family. This respect is best expressed by allowing the student uninterrupted use of the room in which the piano resides during the scheduled practice time. It is better to practice for shorter periods every day (say thirty minutes) than it is to skip several days and then try to make up for lost time with one or two extended practice sessions (maybe an hour). The muscles tend to "forget" much faster than the brain does, and, therefore, it is necessary to have physical reinforcement of piano skills every day. It is very simple: learning piano skills is a very difficult activity! But piano playing is a worthy pursuit that can be accomplished with the correct approach. Furthermore, it is better to divide the total practice time into short segments than to do it all in one sitting. I find that getting up after thirty minutes of concentrated practice, stretching, taking a brief walk, having a drink of water, etc., is beneficial in revitalizing my ability to maintain focus and make the most of my practice time. Frequent changes of activity within the practice session are much more effective than mindless repetitions of an entire piece. Students must learn to create exercises within their pieces. They must learn that the ending is just as important as the beginning of a piece. Students should play particular lines or measures that they cannot execute properly many more times than they should play the entire piece. Please do not allow the student to watch a clock and say that he/she is going to play through a piece ten times. This approach is the "punishment method" not greatly unlike prison strategies. Students must learn to work intensely on just one troublesome section of a piece (say 8-16 measures of music) until the problems are resolved with that section. Then they should go through the entire piece and play the difficult section in its musical context. Generally, when a student is beginning a new piece, the slower the practice, the faster learning takes place. Students should not attempt to play a new piece at a fast tempo. It all ends up being a waste of time. Fast tempos come gradually after all the elements of a piece have been mastered. Every student should have a metronome by the time he finishes level three. These expensive, but essential devices are the best way to start a piece very slowly and learn it gradually faster until the ultimate tempo has been achieved. Many students may find it useful to divide their practice time into two shorter sessions. Just be sure the total adds up to the goal of practice time established on your level. Don't just "do time" while practicing. Organize a series of manageable goals that can be realized in the practice session. After playing a composition (or smaller passage) ask yourself what was good as well as what could be better. Choose several things as immediate goals to improve upon before repeating the piece. And then concentrate hard on those areas when you play the passage or section again. Try for three correct repetitions before moving on to something else. Sitting at an instrument, mindlessly repeating your piano pieces is unproductive, inefficient, and wasteful. Bring your brain to the practice session as well as your body; then use both. Begin each practice session with technical warm-up. This warms up your body as well as your psyche. Spend 20% of practice time on technique. Use this time to check how your entire body contributes to your music making. Periodically, review tips on sitting, arm, and hand positions. Always arrive at your lesson warmed up! When practicing your repertoire of compositions, be creative in the order of practice. Don't always practice Bach first, then Mozart, then Chopin. Do intensive practice on one piece, moderate work on a second work, and just play the third. Varying the order will ensure that every piece gets some of each kind of practice during the week. Be creative in your approach to each individual piece. Practice the sections out of order, isolating and mastering difficult passages before stumbling on them as you play through the entire piece. It's better to practice intensely and intelligently one page, one section, or even just one measure, than to mindlessly "run through" the entire composition without focus. Another idea -- block left-hand chords instead of playing them as written. This will help to understand the larger harmonic intentions of the composer that are not always obvious as you struggle with an alberti bass or other broken-chord figure. Divide the tempo by practicing half as fast, or even one-fourth as fast as the finished tempo. Isolate rhythmic problems by tapping them with the keycover closed--isolate a note-reading problem by ignoring the rhythm, playing all notes evenly with equal duration. Combine elements after they have been mastered separately. 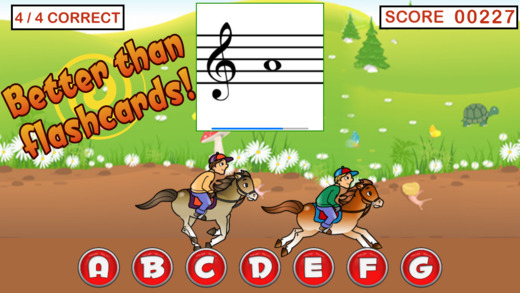 Practice difficult passage work in varied rhythms and with varied touches. Five repetitions using these techniques will accomplish twice as much as repeating the passage as written, and the process is a whole lot more fun and interesting. Remember that creative practice helps keep you absorbed in your work. When your mind turns off, leave the practice room. Learn every piece without pedal. Only add this finishing touch when you have exploited every other physical resource at your command. This will prevent the use of pedal as a crutch to cover up sloppy playing. Once pedal has been added to a piece, continue practicing that piece half of the time without pedal to prevent any sloppiness from creeping in. Challenge yourself to arrive at each lesson having exhausted your own personal means of mastering your music. Don't depend on your teacher to correct rhythms or note-reading errors you were simply too lazy to figure out. Make the most of your time with your teacher, and work together toward the goal of creating music. Students must develop a proper attitude toward practice. Parents can assist the piano teacher in communicating that daily practice is not merely repetition. It is a continuous process of study, discovery, experimentation, and excitement if it is approached with a positive attitude. Also, practice is a responsibility of the student AND the parent. I do not think that a musical performance is likely to be an inspired one if the practice that led up to it has not also been inspired and appreciated as an activity. Learning a musical composition is a process that engages our intellect and gives shape and direction to our emotions. Here is a very helpful application for your iPad or iPhone practicing your skills in note recognition. The Mysteries of the Damper Pedal. or ever incorrectly referred to as the Loud Pedal. Here is a very informative discussion on how to use it effectively.